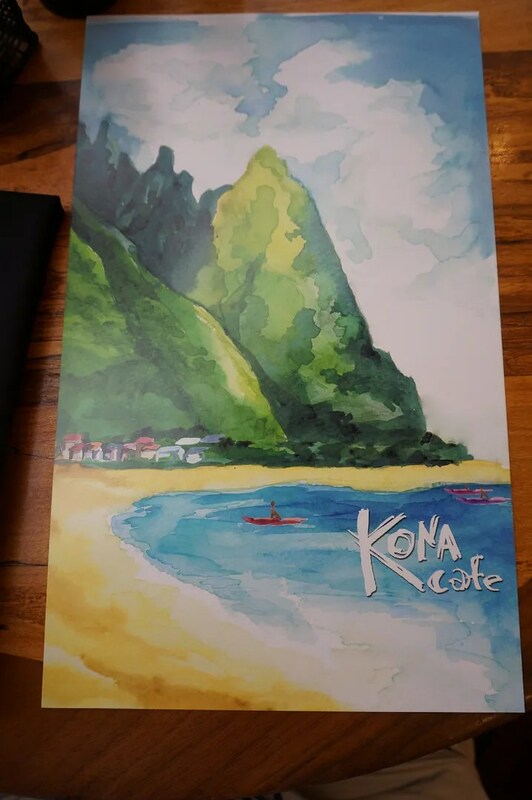 I met up with my friends, Brenda and Michael, for breakfast at Kona Cafe. 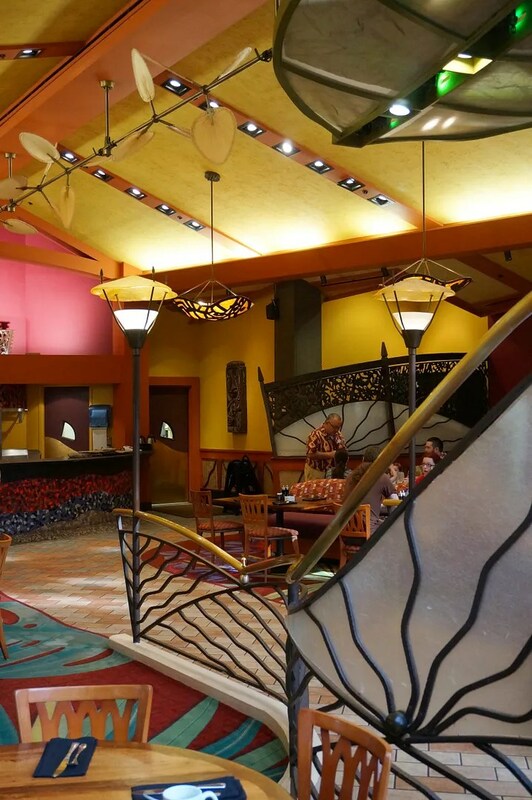 I arrived first and checked in at the Kona desk and even though the reservation was in Brenda’s name they still seated me at a table right by the entrance to the restaurant. 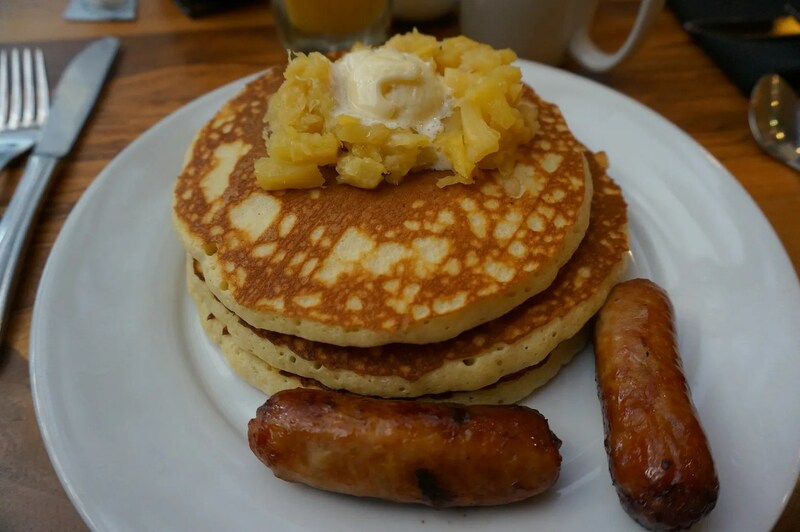 Macadamia-Pineapple Pancakes served with Macadamia Nut Butter, Pineapple Sauce, and your choice of Ham, Bacon, or Sausage (which is what I chose). 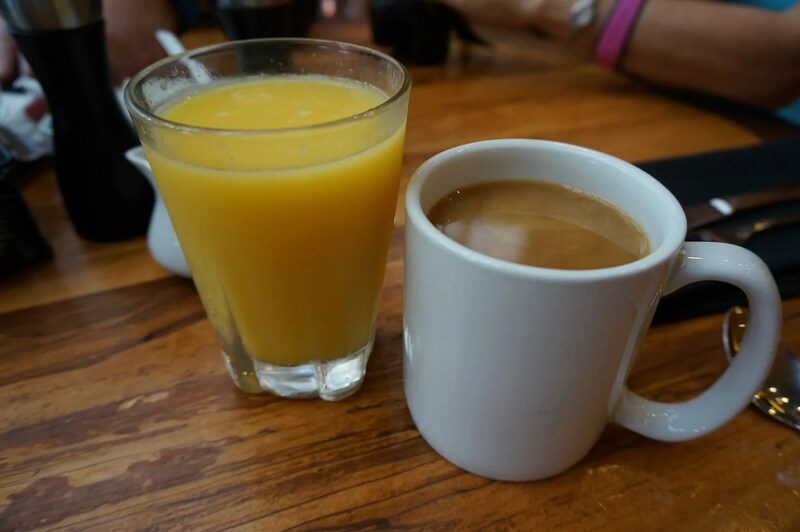 I had this for the first time in Nov. 2011 and have had it 4 times since then. I am very happy to say that it has never let me down. These are so incredibly delicious…I’m pretty sure that I heard angels sing after my first bite. 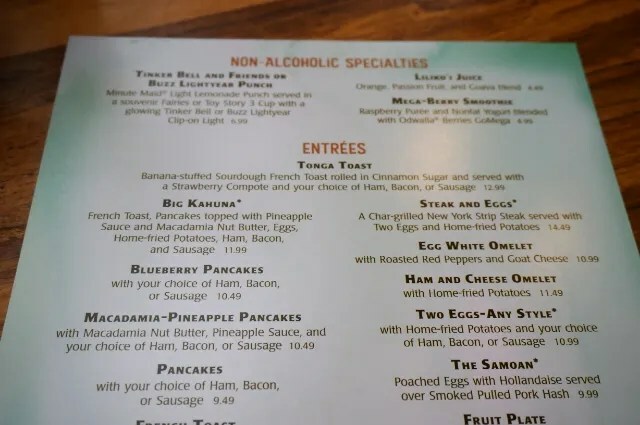 During my last visit to Kona in December (which was also with Brenda, plus her DD Em and Paula & Hunter), my pancakes were great as usual but the service was terrible. However, for these pancakes I would be willing to don an apron and serve myself if I had to…which I was nearly forced to do in December. However this time I’m happy to report that we had no problems with service. 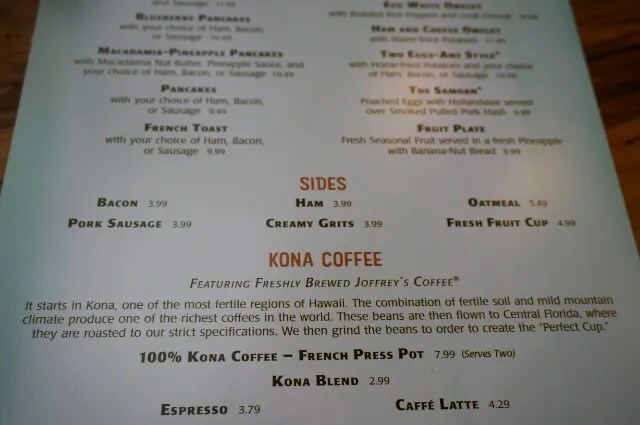 My one concern here is that I’ve heard rumors that with the major renovations which have recently begun at the Polynesian, Kona Cafe will be closed and replaced by a new signature restaurant. This would mean no more pancakes. Someone please tell me that this awful rumor is not true. 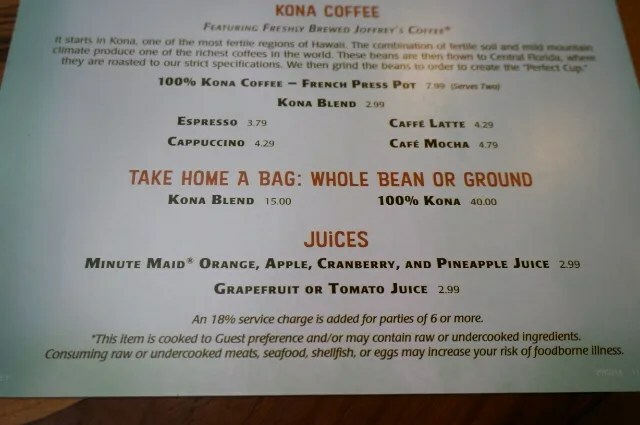 So for now, all I can say is that for as long as Kona Cafe exists and serves macadamia-pineapple pancakes, I’ll be there to enjoy them on each and every visit to WDW.